During his speech at Morning Star Baptist Church in the city's Mattapan neighborhood, of which his mother was a longtime member, Gross reflected on the historic nature of him occupying the new role. "Where can a kid from Southie, where can a kid from Dorchester and a kid from Dorchester all be a part of here to help lead the city together, not walking ahead, but walking together?" he said. In his comments moments before swearing in Gross, Mayor Marty Walsh said the former superintendent-in-chief will move the department forward as it commits to community policing. In his first day on the job, new Boston Police Commissioner William Gross hit the streets as a part of the national Night Out event celebrating community policing. "I want to be clear: Willie Gross is not only Boston's first black police commissioner," Walsh said. "He's America's next great police commissioner." In an exclusive interview with NBC10 Boston, Gross, 56, acknowledged the significance of being the first. "Being the first allows me to showcase the people that we’re the first in making sure that everybody has the ability and chance to become either a cadet, patrol officer, all the way up to commissioner," Gross told NBC10 Boston. Many area residents attended the ceremony for an event they thought they would never see. "This is history. It would have never happened back in my time," said Donna Haskins who attended the ceremony. 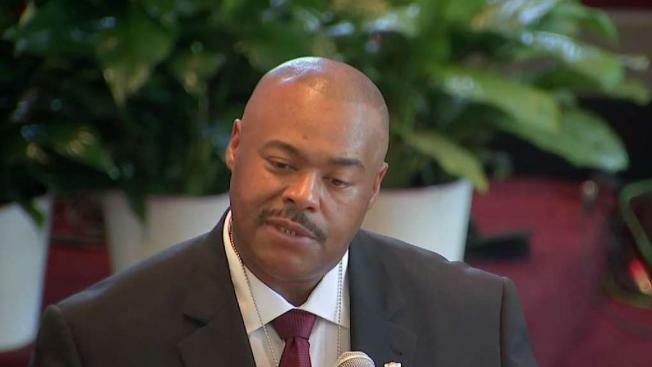 Gross replaces former Police Commissioner William Evans, who retired from the department on Friday and will take on a position overseeing the police force at Boston College. 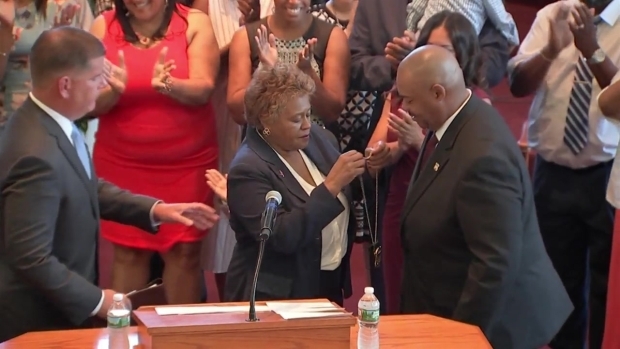 William Gross made history when he was sworn in as the Boston Police Department's 42nd commissioner, and honored his mother during the ceremony. He has been a member of the department for 33 years after he got his start in Dorchester. He considers himself a "true street cop" who climbed up the ranks during his career. Gross took a moment during his speech to recognize the deaths of Massachusetts police officers Ron Tarentino of Auburn, Sean Gannon of Yarmouth and Michael Chesna of Weymouth, casting police efforts against crime as "a battle between good and evil." "Although the bad think they have won, when they have taken our brothers and sisters too early, they will never take their spirit," the new commissioner said. "They will never take the spirit of Officer Tarentino, they will never take the spirit of Officer Gannon and they will never take the spirit of Officer Chesna, 'cause we will not let them. We are the thin blue line and we will be here for you and your families." Gross has become a well-known figure in the community for being a public face for the Boston Police Department. He focuses heavily on community policing, has lead the city’s youth violent task force and has a reputation for being good at de-escalating tense situations. In a touching moment, Gross draped his badge over his mother's head after she pinned him during Monday's ceremony. Gross was also quick to single out his mother who he says shaped him into the person he is today. 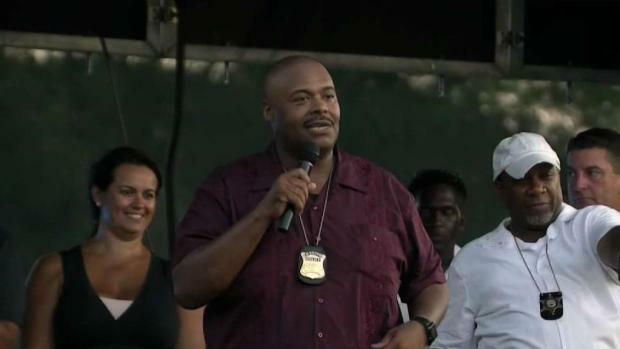 William Gross was sworn in Monday as the Boston police department’s first black commissioner. "Mom, it all came from you," Gross said. "We have a lot of people working hard to ensure that every family has the same opportunities. We can’t say that about Boston in the 50s but we can say we are well ahead of the game now."